I was lucky enough to find the fourth-winter Glaucous Gull there on 15th January and to catch up with both the second-winters but the juvenile and the adult have (so far) managed to elude me. 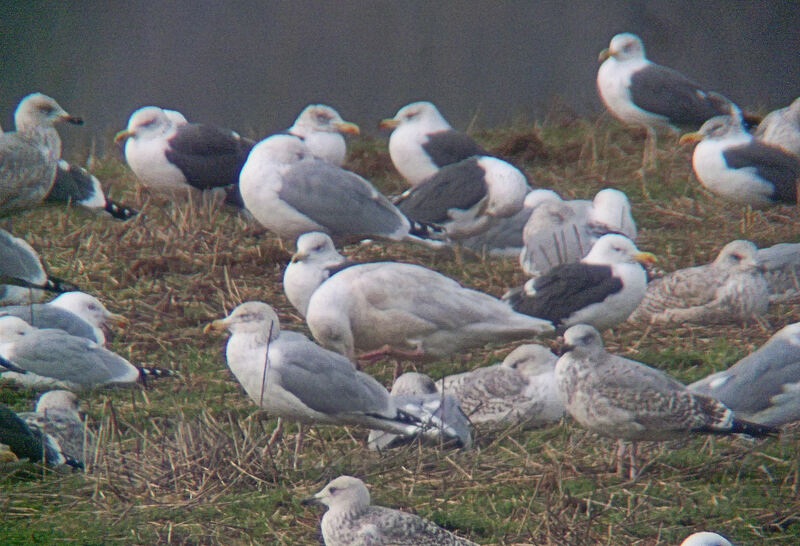 The most recently discovered second-winter was on show yesterday, distantly in the field opposite the entrance to Sidegate Landfill (see below). It’s a different individual to the original one which is still present, being ‘whiter’, i.e. 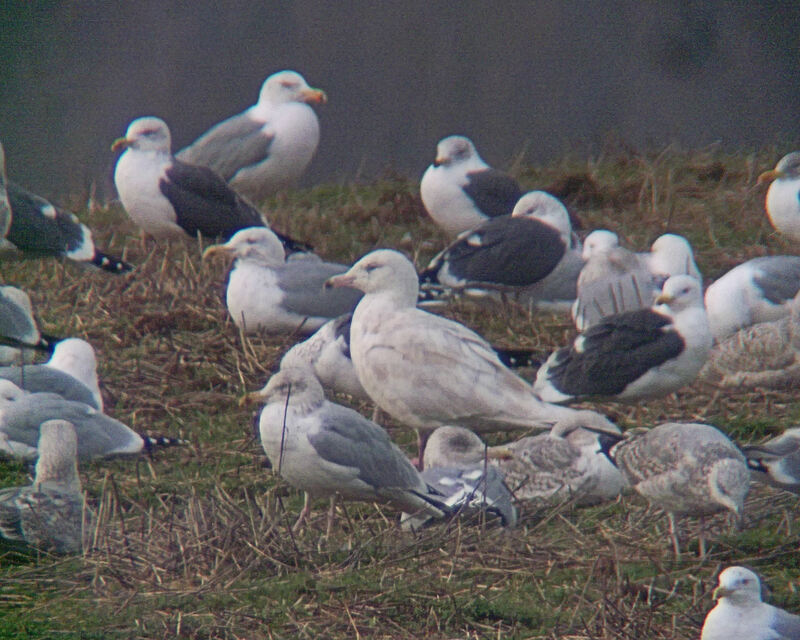 less brown in the plumage, and with a different bill pattern – the pale tip being a little more prominent and the black subterminal band being a different shape. Hopefully more white-winged gulls will appear here before the winter is out. March is a recognised passage month for Iceland Gull and there’s always the outside chance of Ring-billed Gull – long overdue at this site, which hosted the first County record of this species in March 1984.